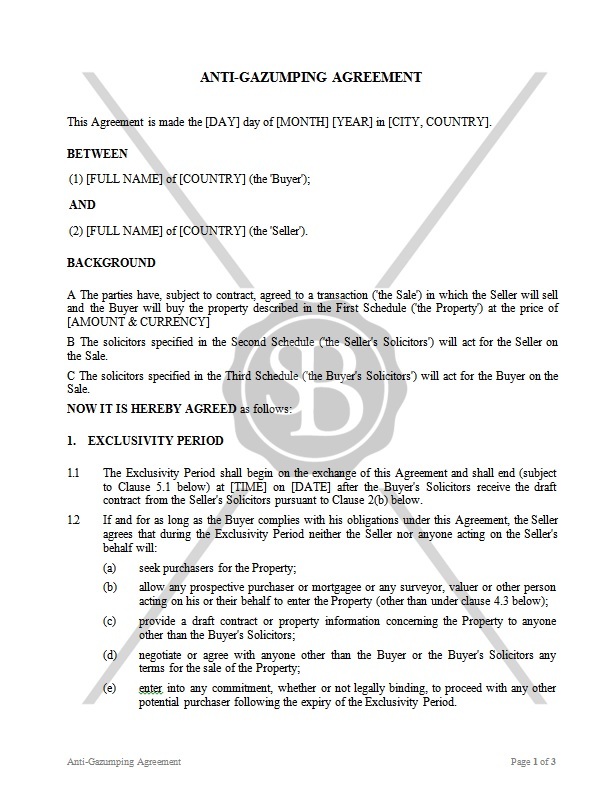 This Agreement is used to prevent the unjust practices related to property sale. Gazumping is the process where a seller accepts an oral offer of a specific price from the buyer but then accepts a higher offer from someone else. This Agreement sets out terms and conditions which limit the possibility of such unjust practices.